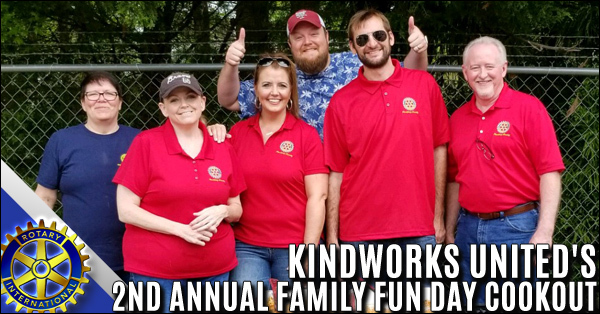 April 13th, Paulding County Rotary Club members joined with Hiram and North Paulding high school volunteers to support Kindworks United's 2nd Annual Family Fun Day. 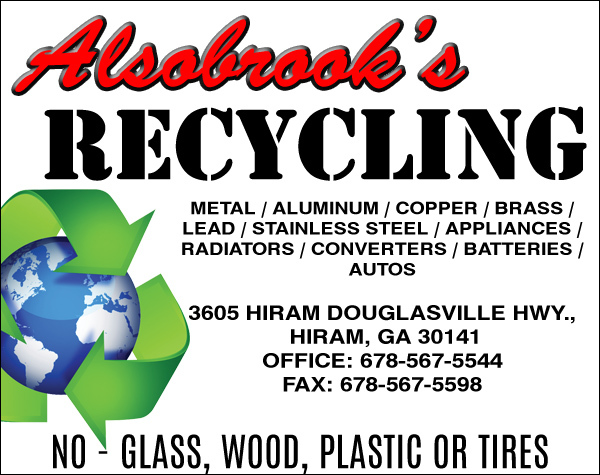 Kindworks is Paulding County's local support group for foster and adoptive parents. This event provides foster parents with the opportunity to bring siblings together who are in foster care. 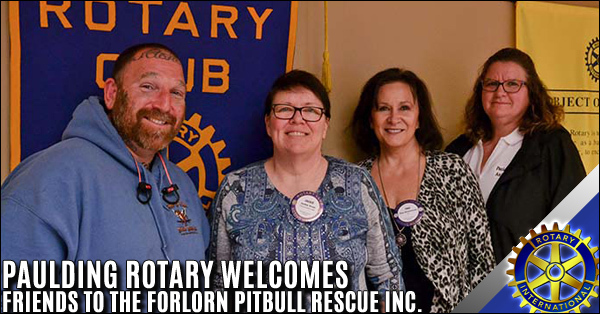 Paulding Rotary Welcomes Friends to the Forlorn Pitbull Rescue Inc.
Paulding County Rotary Club member Tina Drummond introduced her two guests to the Rotary Club. Aileen Culberson, Manager of the Paulding County Animal Shelter and Jason Flatt owner-operator of Friends to the Forlorn Pitbull Rescue. 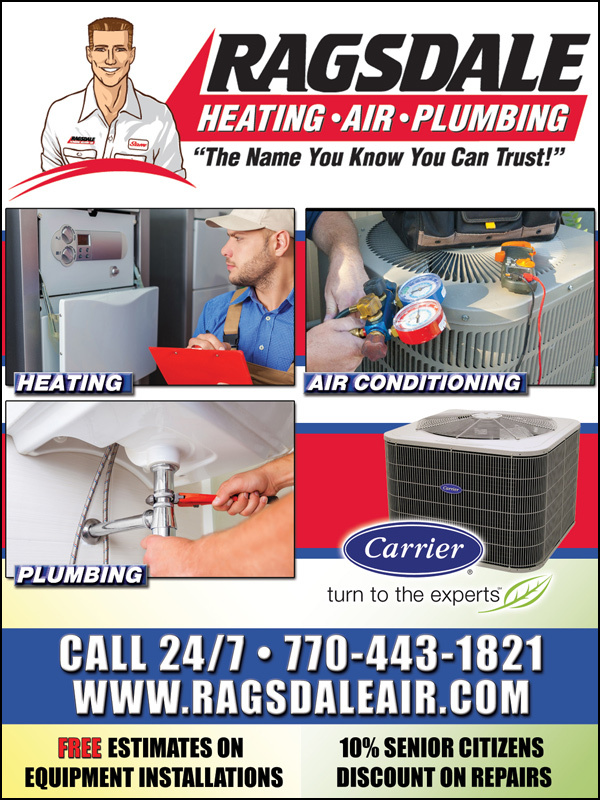 Mr. Flatt is looking to expand to a larger facility. The rescue is saving funds to purchase land to that end. They are looking to stay in Paulding to remain close to the animal shelter and veterinary partner that provide his rescue with much-needed support. 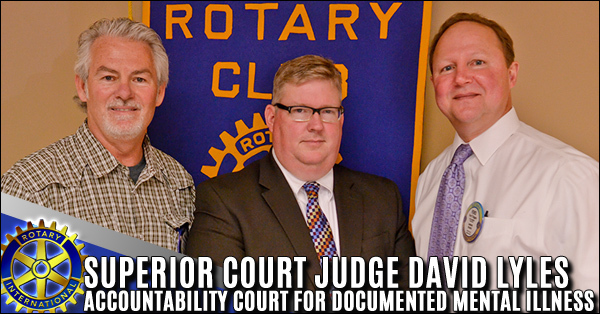 Superior Court Judge David Lyles spoke to the Rotary Club about the most recent accountability Court in Paulding County. It is a program designed to provide case disposition for people with a documented mental illness who have been charged with a crime. In many ways, Georgia is leading the nation in prison reform, and Paulding County is leaving the state through Accountability Court programs. 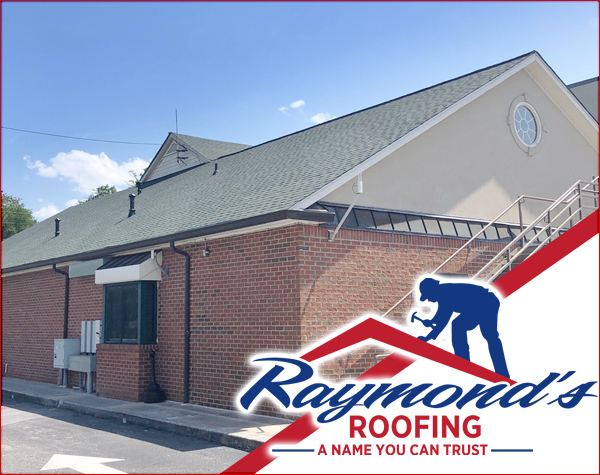 The Shepherd's Rest Ministries Women's Shelter operates around the clock, 24 hours and 7 days a week to take calls from women and families in dire need. During 2018 over 16,700 calls were answered and 14,892 calls were followed up on. Legal advocacy helped 457 women with temporary restraining orders. The 2 crisis houses that they operate provided shelter for 26 women and 60 children. 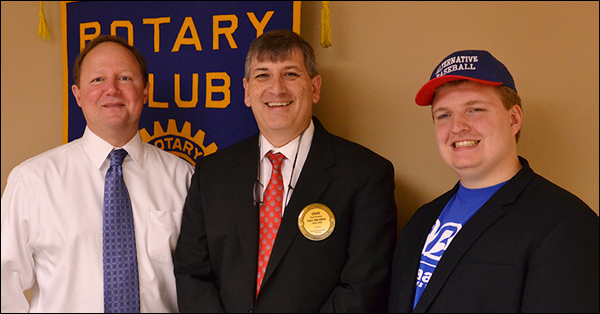 Paulding Rotary welcomed Seth Bice. 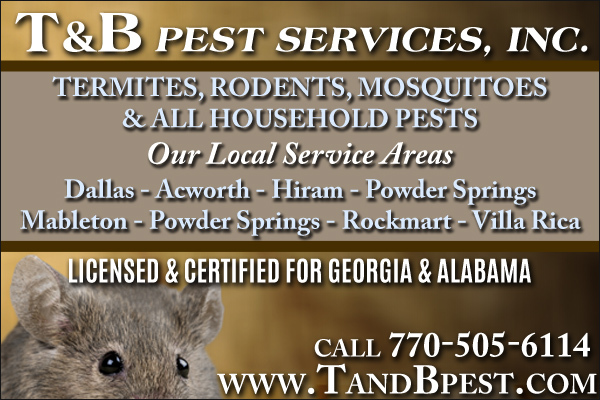 Mr. Bice is a Cobb County firefighter and a resident of Paulding County. 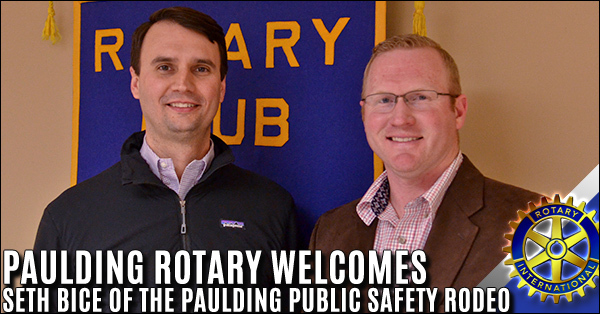 Last year Mr. Bice founded and coordinated the first Paulding Public Safety Rodeo. The rodeo was held in March of last year in Earl Duncan Park. While first-time benefit events are usually difficult to coordinate, the rodeo was very much a success. Taylor founded the Alternative Baseball organization in 2016 for teens and young adults ages 15 years and up with autism. As a developmental baseball organization, this would give the opportunity to those unable to enjoy this port first-hand. Mr. Duncan explained that the mission is to provide an encouraging experience to promote personal growth and development for teens and adults with autism and other special needs. The program is a true baseball experience, using professional league rules. 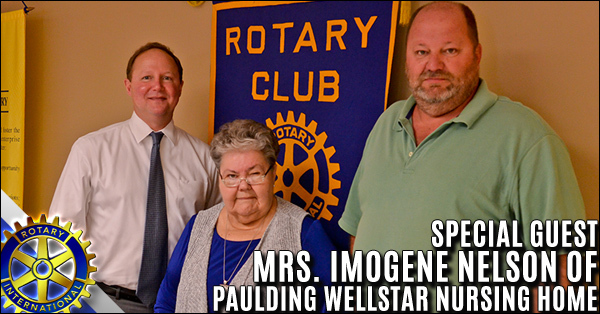 Mrs. Imogene Nelson of the Paulding WellStar Nursing Home visits the Paulding Rotary. Mrs.Imogene brought members of the club up-to-date on the changes at the WellStar Paulding nursing home. 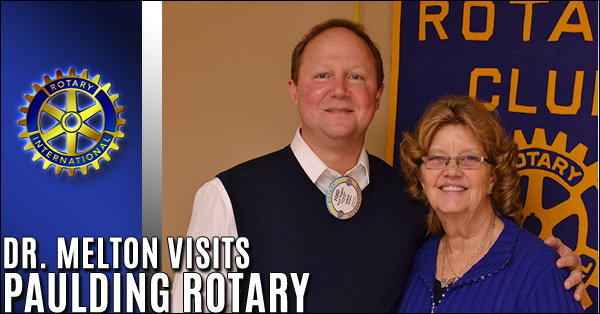 She also recounts how the Rotary Club has made a difference to the patients at the nursing home over the years. 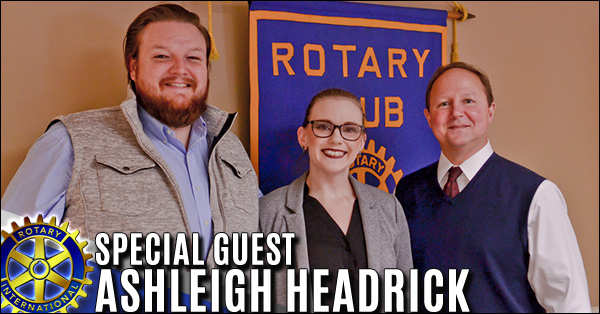 Paulding Rotary Club President Ford Thigpen welcomed Ashleigh Headrick from the Georgia Office of the Attorney General. 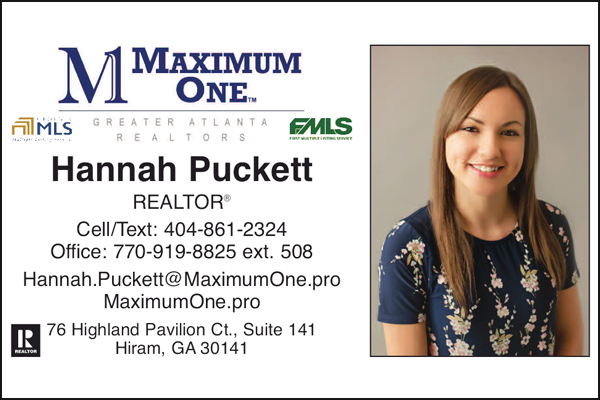 Mrs. Headrick works in the Criminal Justice Division, Post-conviction Section. Introduced by club member and husband Brian Headrick, Mrs. Headrick began her presentation. 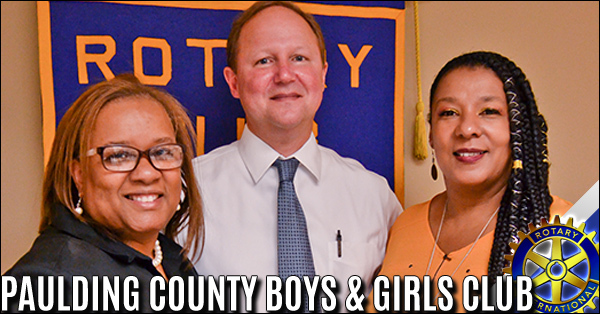 Mrs. Burks was excited to address Rotary club members once again. She thanked everyone for the continued support. 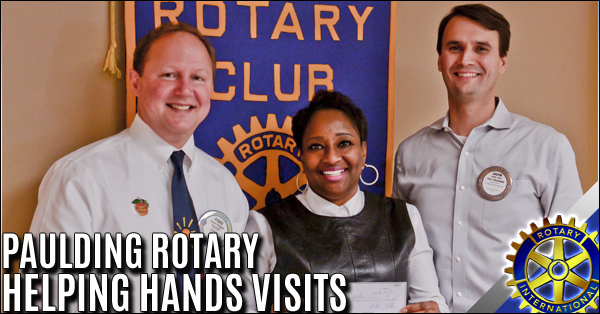 Mrs. Burks highlighted the growth that Helping Hands has experienced since its beginnings in 1987. Started by five churches approximately 31 years ago, Helping Hands has been able to provide 6,000 families with basic food needs (as of October 2018) this year. By the end of this year Helping Hands of Paulding County will have distributed over 1 million pounds of food to local residents. 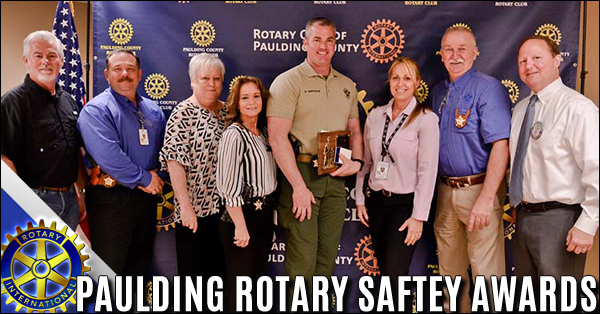 The Paulding County Rotary Club welcomed Robbie Finley of the Fellowship of Christian Athletes for Paulding County to speak with our Club members. 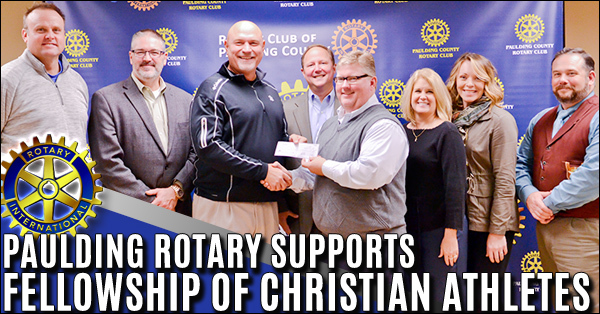 FCA Paulding is growing and is excited to be meeting with coaches and athletes across the county; in all five high schools, all nine middle schools, and now in four elementary schools. A very excited Ms. Jones took the podium to give an update for the Paulding Boys and Girls Club. Ms. Jones was very excited about their current progress working with the youth after school. The Boys and Girls Club goals are to inspire and empower youth to reach their full potential. She was quick to dispel the idea that the Boys and Girls Club was a place for children to stagnate after school. She shared their plans to educate, expose, and expand these young children with the afterschool programs that are currently available. 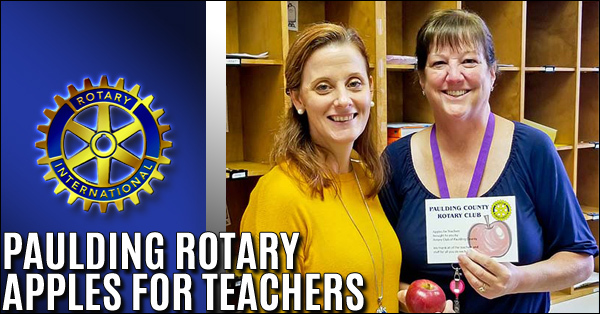 Every year the Paulding County Rotary Club delivers apples to all elementary schools in Paulding County. 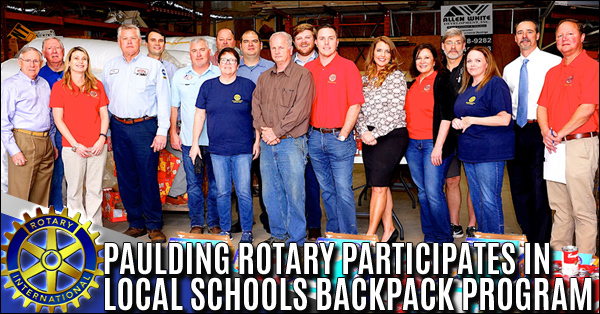 This 2018 was no exception as the Paulding Rotarians met and loaded up apples to deliver all over the county. 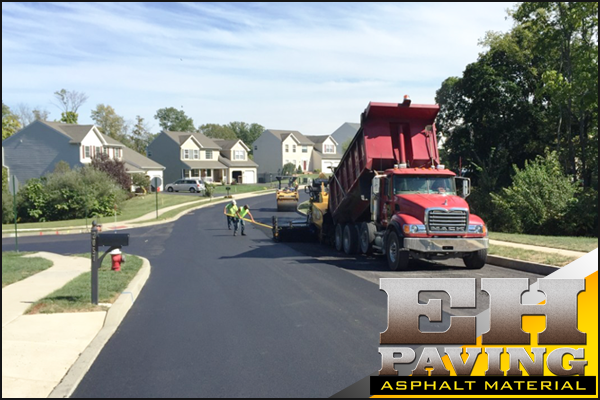 Our club members love the opportunity to continue this tradition.